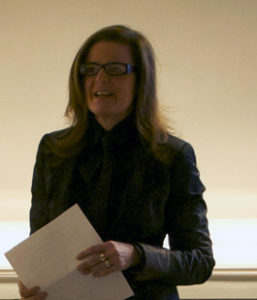 Jill H. Casid is Professor of Visual Studies at the University of Wisconsin-Madison where she founded and served as the first director of the Center for Visual Cultures. A historian, theorist, and practicing artist, her contributions to the transdisciplinary field of visual studies include her monographs Sowing Empire: Landscape and Colonization (Minnesota, 2006) which received the College Art Association’s Millard Meiss award and Scenes of Projection: Recasting the Enlightenment Subject (Minnesota, 2015) and the edited collection Art History in the Wake of the Global Turn (Yale, 2014) co-edited with Aruna D’Souza. Recent articles have appeared in the L.A. Review of Books, Women and Performance, TDR, and the Journal of Visual Culture and she has contributed essays to, among other volumes, Environmental Aesthetics after Landscape (Diaphanes/Johns Hopkins, forthcoming), Migration and the Contemporary Mediterranean (Oxford, forthcoming), The Philosophical Salon (Open Humanities Press, 2017), Architecture is All Over (Columbia, 2017), The Princeton Companion to Atlantic History (Princeton, 2015), A Handbook to the Reception of Ovid (Wiley-Blackwell, 2014), Environmental Criticism for the Twenty-First Century (Routledge, 2011), and Landscape Theory (Routledge, 2007). She is currently completing the two-book project Form at the Edges of Life. She serves on the governing board of the International Association of Visual Culture and on the editorial board of the Journal of Visual Culture. She has been the recipient of numerous awards for her research and teaching, including the Chancellor’s Inclusive Excellence in Teaching Award (2015), the Vilas Research Investigator Award (2014), the H. I. Romnes Faculty Fellowship (2011), and the Hamel Faculty Fellowship (2009).